Dr Patricia Seyf commissioned NVDC Architects after learning about our work through searching on Google. 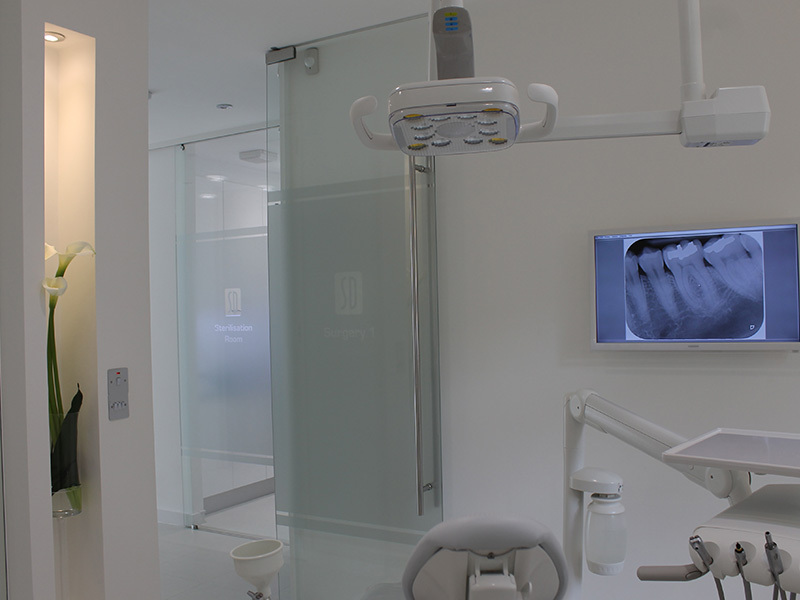 Dr Seyf had liked our work and after an initial consultation and Fee Proposal, Dr Seyf appointed NVDC to provide a full service, taking her project from concept to completion. 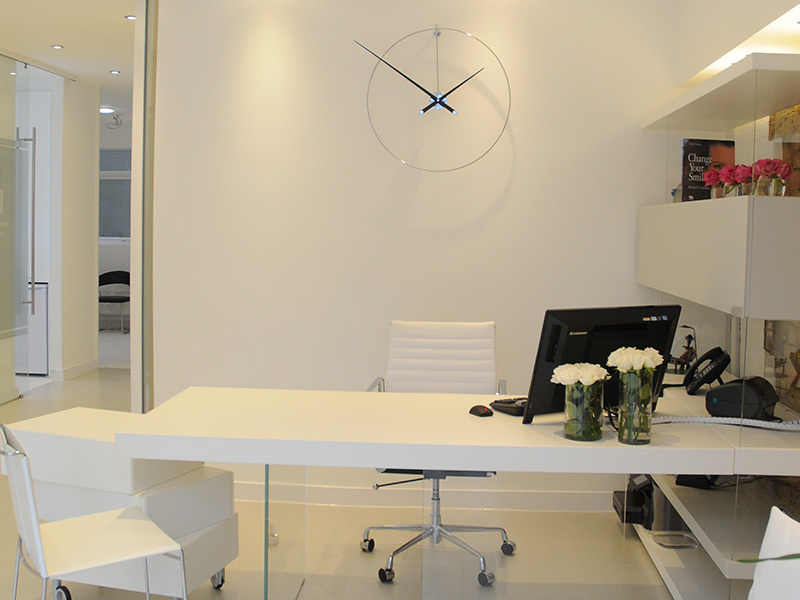 Dr Seyf’s ambition from the start was to create a high quality and modern dental practice to reflect her exacting standards and high quality dental care that she delivers on a daily basis through her work. 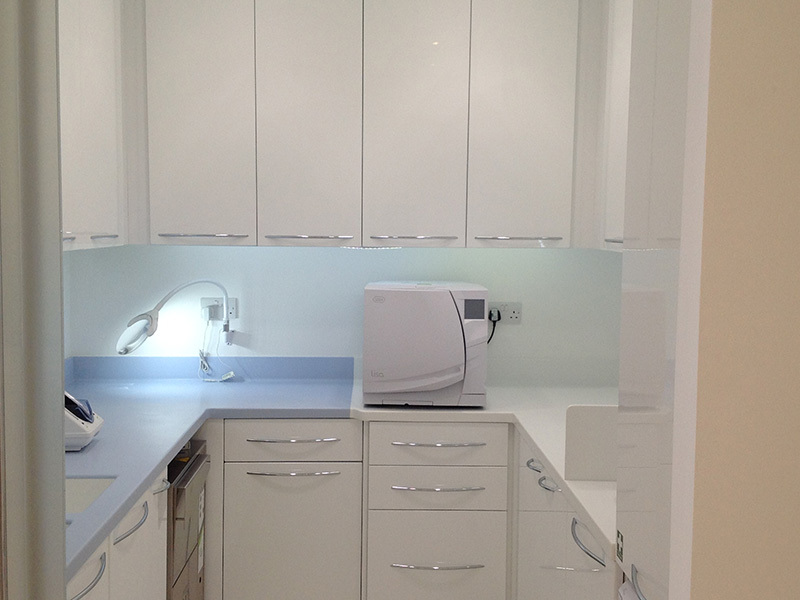 The project involved the change of use and conversion of a small kitchen showroom to create a 2 surgery dental practice with an OPG room as well as Decon Room, Staff room, Disabled toilet, Storage, reception and waiting. 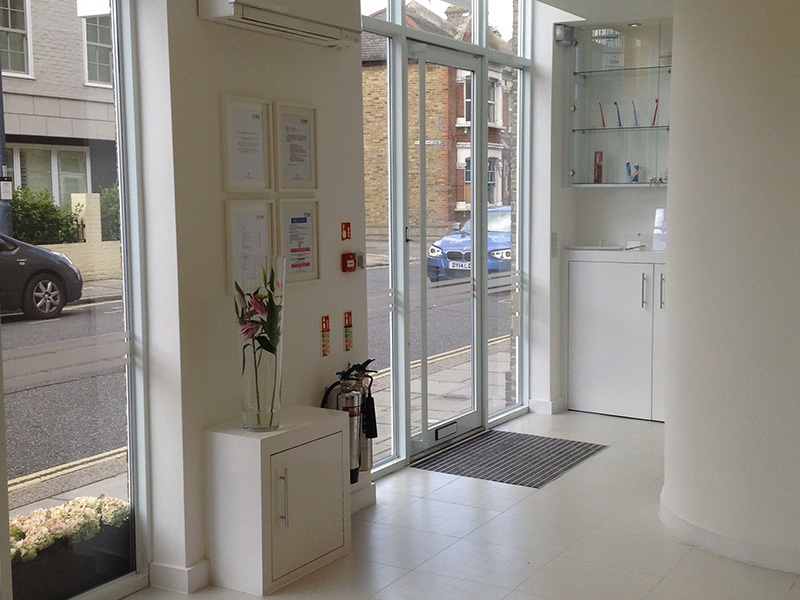 The small footprint of the existing unit within an existing mixed use development meant clever and efficient use of the available floor space to create a fully compliant practice while the of large/full height plate glass doors allowing daylight into the space from front and rear helping to enhance the sense of space. 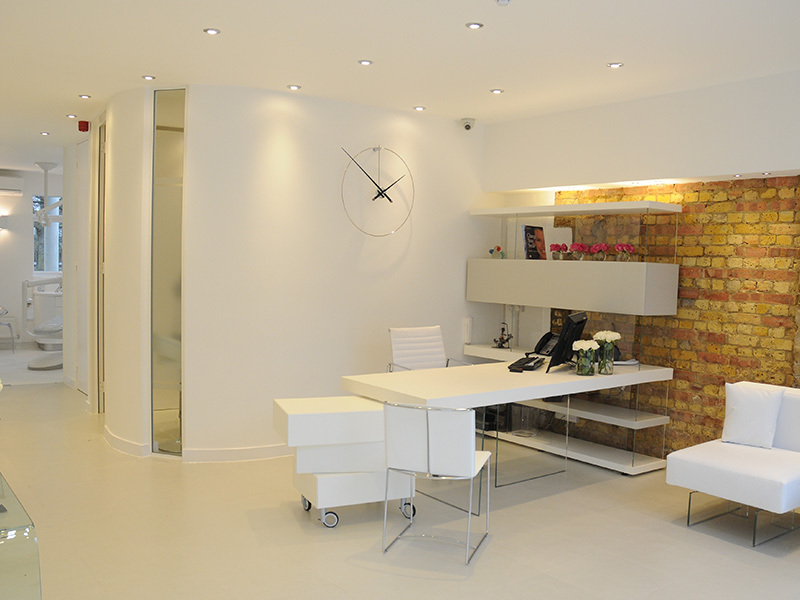 The idea behind the exposed existing brick wall in the reception area was to introduce a degree of warmth and tactile quality to the practice, while reflecting the warm and friendly nature of dental care that the patients could expect to receive at Seyf Dental.